Well it’s been a busy couple of months for our fearless fundraisers and when we say fearless we certainly mean it! Here we give a big Green high 5 to our amazing fundraisers who have gone above and beyond over the summer months to raise money for the charity and help us continue our work! Is it a Bird? Is it a Plane? No it’s the artist formally known as Mr Dispenser! 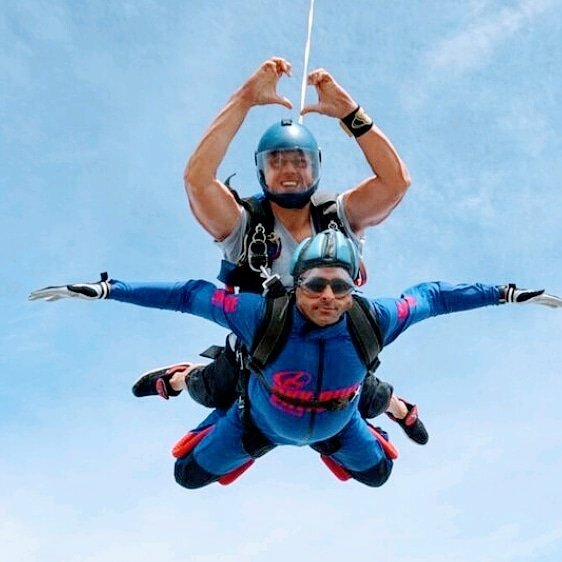 If you happened to be around Brigg in Yorkshire on Saturday 4th August, you might have seen (and heard the screams) of our brave Ambassador Babir Malik as he flew through the air with the greatest of ease! 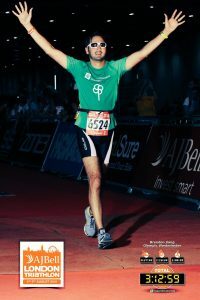 Our hero Babir raised an amazing £1,730 for PS, well done that man! Only a matter of hours after Babir’s parachute jump another of our Heroes, Brendan Jiang was up and at ’em ready to take on the AJ Bell Olympic Triathlon Course in London, so that’s a 1500m swim followed by a 40k bike ride then a 10k run! The thought of that is enough to put many of us off getting out of bed on a Sunday morning, but before our eyes had opened our Brendan had completed the course in one piece and raised £645 to boot! 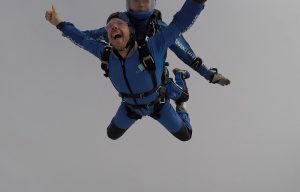 above Salisbury Plain from 15,000 feet, all to raise money for the charity. On his way down he raised a fantastic £530! 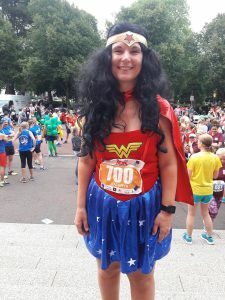 Not content with throwing herself out of a plane and baking hundreds of cakes for needy pharmacists across the country, our very own PS Ambassador Kathryn Murray (now renamed Wonder Woman!) took on the Cardiff 10k. To date she’s raised an impressive £1,150 for the charity. To donate to her page or order #cakebypost click here. FIP-pping heck it’s an early start! 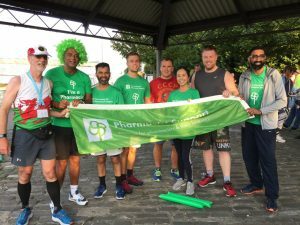 September welcomed pharmacist professionals from across the world to Glasgow for the FIP Congress, where 100 conference attendees rose super early to run 5k around the River Clyde. Taking part were members of the RPS English, Scottish and Welsh Pharmacy Boards, RPS President Ash Soni as well as our very own Student Ambassador Rhys Llewellyn and supporter Shirley Yip! It was a great morning made especially Green for the occasion, raising £250 for PS. PS supporter Neil Stewart from Well pharmacy set himself the challenge to swim the English Channel from Folkstone to France as part of a relay team on Sunday 16th September. Unfortunately storms that weekend meant that the team had to postpone their swim. The good news, however, is that it’s now due to take place on World Pharmacists Day (Tuesday 25th September) and you still have time to donate. Eight of our fabulous phriends and PS Ambassadors over at Buttercups pre-reg training will be getting their walking boots on and climbing Snowdon on Saturday 29th September, giving our #GoGreen4PS campaign a great start. Please help push them up the hill by donating here! 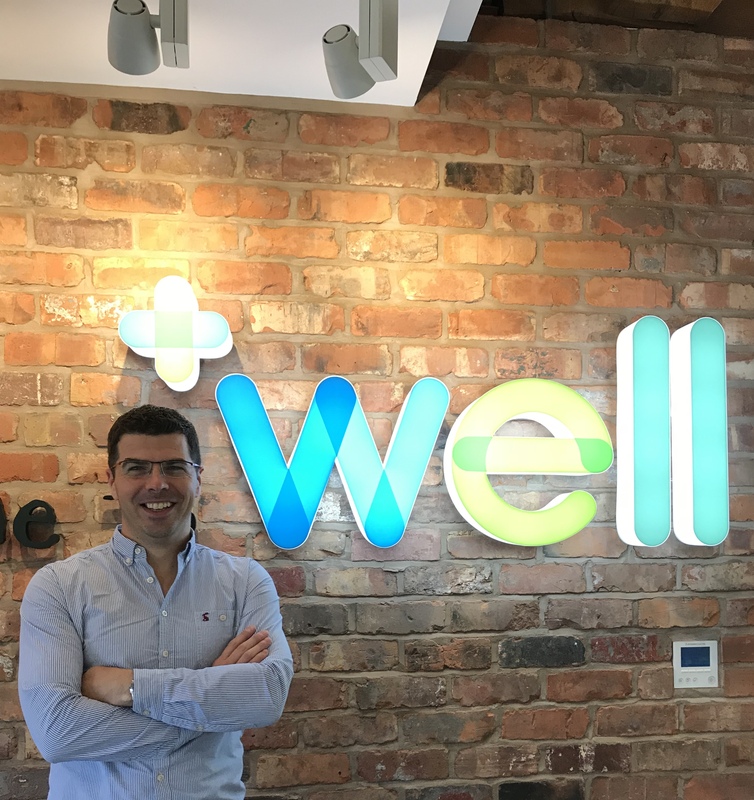 The gang over at Buttercups are also holding their Excellence Awards Ceremony in Nottingham on Wednesday 3rd October and we are extremely grateful that they will be raising money for Pharmacist Support at their raffle on the night. Thanks Guys! Sunday 14th October will see a group of 6 amazing phriends – Samera, Ayesha, Thorrun, Anjelica, Jess and Claudia take to the skies, free falling from 10,000ft to raise as much money for Pharmacist Support as possible. They’ve taken on this challenge to show their appreciation having each received support from the charity in the past. Please help them reach their target by donating to their fundraising page here. Our friends over at RPS Wales are once again hosting their Fellows dinner in aid of Pharmacist Support and will be supporting the #GoGreen4PS campaign on Thursday 25th October. Hoping you have a great night all!